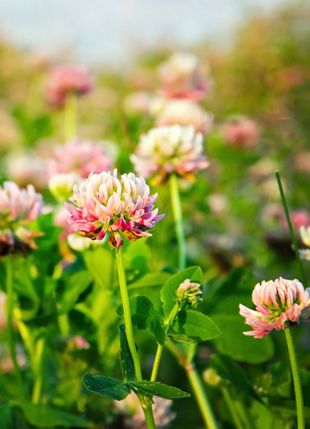 Alsike Clover is a short lived, non-creeping perennial, legume, similar to Red Clover, that was introduced for hay, pasture and soil improvement and for honey bee and bumble bee forage. Adapted to a wide range of soil types and will grow well in northern latitudes and at high elevations, it prefers clay, silty loam with consistent moisture (18 “ plus or irrigation). Not shade tolerant. Usually sown as 25% of a mix with timothy or brome grasses. Pink to white flowers bloom along the length of the stems maturing to a height of 2-4 feet. Alsike Clover is a short-lived, non-creeping perennial, legume, similar to Red Clover. 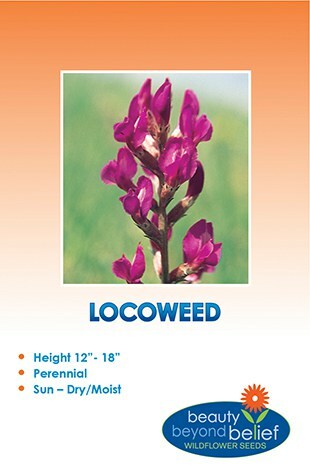 Used for hay, pasture and soil improvement and for honey bee and bumble bee forage. Adapted to a wide range of soil types and will grow well in northern latitudes and at high elevations, it prefers clay, silty loam with consistent moisture (18 “ plus or irrigation). Not shade tolerant. Usually sown as 25% of a mix with timothy or brome grasses. Pink to white flowers bloom along the length of the stems maturing to a height of 2-4 feet. Seeding depth should be 1/8 – 1/4 inch, or broadcast for soil stabilization use.